Being successful in Real Estate Investing doesn’t happen magically. There is no magic wand, silver bullet or glittering pixie dust you can use to get you to the success and prosperity you crave as a Real Estate Investor. To become successful in Real Estate Investing takes action step after action step. But what are these action steps? Glad you asked. The very first thing you have to do is decide that you are going to become a Real Estate Investor. That requires a shift in your thinking. This may sound silly, but you have to start thinking like an entrepreneur and investor if that is what you want to be. Stop thinking about working 9-to-5 like you do in a W-2 job. At first you may work more than eight hours a day or you may work fewer hours. It’s no longer the time you have your meat in the seat at a job working for someone else just to earn a paycheck so you can pay your bills. It’s about being efficient in using your time and doing that which you do best. To become successful you must allow yourself to do so. Get rid of all your preconceptions and put all the negative emotions around wealth and success you may have learned in childhood away. You deserve to earn as much as you set as your goal. But first you have to make the shift in your mind that will allow you to move forward. Ever wondered where investors are hiding? They’re not! Learn more. 2. Read books on wealth and investing. One of the best ways I know of to shift your mindset to allow success and prosperity into your life is to read books written by other people who have already done it. If you aren’t a fan of reading, that’s fine. There are audiobooks. If you don’t have a lot of excess money to spend on great books on business, entrepreneurship and Real Estate Investing, good news. There are plenty of dollar bookstores where you can buy pre-owned books on just about anything for a buck. Guess what? That includes a number of good audiobooks (a.k.a., books on tape and CD). There is literally no excuse not to read books on topics that will educate, motivate, inspire and help you transform your life into the one you desire. What type of person do you want to be? A successful Real Estate Investor and entrepreneur, which means you need to surround yourself with like-minded individuals. I guarantee that there are many people just like you in your neck of the woods who wants the same things you do. Find them on Meetups and Craigslist groups, your church and by inviting strangers to play Cashflow 101 with you (that you can play publically at Starbucks or other restaurants if you don’t want strangers in your home). If you want to know where you can meet these “likeminded” individuals, here’s a free download for you to use. If you want a new way to look at where investors are “hiding,” well, this is a great tool. 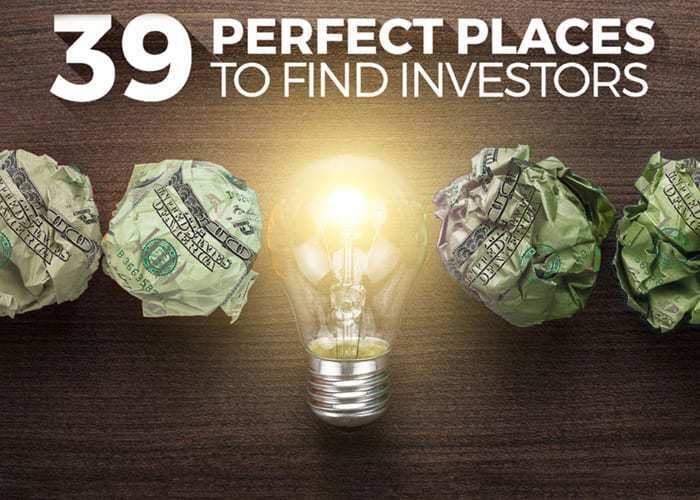 These are places I’ve found investors… and you can, too. Investors are like you and me. And you will find them in interesting places. 4. Work with a mentor who has lots of experience doing what you want to do. Mentors are great! I had mentors and you need to find a couple of good ones. Your mentor started just like you are now. He/she didn’t know everything they do now. They learned from others, they read books, they researched, they took training and then they put into action what they learned. Do you know any Real Estate Investors? It’s a sure bet that you do. If not, I’m here and I love to mentor people who want to know how to be the best investor they can be. Every week I release at least one new episode of my Cash Flow Diary podcast in iTunes, too. What you learn there will blow your mind. Call it your virtual mentor. Plus, it’s absolutely free. Why wouldn’t you tune in? Start listening from the first episode forward. You can see my progress, so you will understand that I had to do exactly what I’m telling you to do in this article! 5. Learn how to talk to property sellers, buyers and investors. Everything I do boils down to good conversational skills. Did I always have them? Um, no. At first, because I am a natural introvert, I was intimidated by the thought of talking to other people about what I do and about my goals. I did it anyway. At first, I didn’t do a very good job of it. Like I tell my Cash Flow Diary members, you can’t look good and learn something new at the same time. You might be clumsy in your first conversations. So what? Get out there and have them anyway. 6. Learn to speak multiple languages. Aha… I bet you think I’m talking about learning languages of different countries and cultures. Nope! I’m talking about speaking the language of the banker, the hard-money lender, the tax guy, the attorney, the CFO, the property manager and so on. They may each use a different terminology for the same thing… like “debt service.” That’s a good one. To get you into the habit of reading, I want you to go research that term. 7. Learn to gather lots of leads. You don’t have to spend a bunch of money on gathering leads. There are plenty of low- and no-cost strategies that won’t just fill your lists of leads… your cup will overflow with leads. In fact, you won’t know what to do with all the leads you get if you follow just a few strategies I’ve used over the years! When I first started out in Real Estate Investing, I had less than zero in my bank account, so you know I didn’t have money for any fancy lead-generation program. I created postcard-sized flyers (cards) with clever messages and placed them on cars. I did this night after night, working into the wee hours of the morning. As I walked around putting cards on cars I was also listening to audio books. (Refer back to bullet item #2.) It’s amazing what you can learn through your earbuds while doing the most mundane of tasks. Let’s face it… putting cards on cars isn’t the most exciting thing to do, but it is a low to no cost way to generate leads. There are lots of tactics you can use beyond this. When people start calling in response to your lead generators, get their info, have good conversations, ask good questions, listen really well so you can solve their problems, and make sure to keep their information in some organized manner. I used file folders and a drawer when I was a new investor. At first it’s likely that you’ll be doing everything in your business yourself, but you can’t keep that up for long. You can get people to help you do the administrative tasks, lick envelopes, do the typing and filing tasks, etc. Doing these chores are not the best use of your time. Your time should be spent looking at properties, researching properties (even that is something you can get help with down the road), making offers, doing deals, and talking to sellers, buyers and investors as you begin raising private capital for your deals. You want to spend your time attending networking events where the right, like-minded individuals will be. As your business grows you will continue to add members to your team. I have a number of people I trust on my team now. I’m not great with paperwork, but I have people for that. I can’t do all my marketing on my own, but I have people for that. I don’t make all the investing decisions on my own now either. I have people I work with and we make good decisions together. I have properties to rehab. I certainly don’t do that type of work. I’m not real good with tools. Fortunately, I have people for that. 9. Ask good questions (and learn to listen). All deals start and end with simple conversations. You have to develop your social and conversation skills to succeed in Real Estate Investing. There’s no way around it. Even if you’re an introvert, you’re going to have to get over it and get out there. To have the best conversations, you are going to have to become the best listener you can be. I call it practicing the 70/30 rule. Listen 70% of the time; speak 30% of the time. Really listen. Don’t pretend and don’t be so preoccupied with preparing what you’re going to say next that you can’t really listen to what the other person is saying. Every day I am asked how to ask good questions. Here’s the deal. If you are really listening, you will ask better questions. One of my favorites is, “Really? Why?” That one opens so many doors you won’t believe it. Try it. See what happens. 10. Learn to be a great negotiator. Did you know you can open your negotiations by offering a dollar – yes, one single dollar bill – for a property? It’s true. I’ve done it. While I didn’t get the property for a dollar, that sure is a great ice breaker! My negotiation skills have improved over the years. Yours will, too. Some people are afraid of negotiating. Don’t be. Just think of negotiations as conversations. That’s what they are. If you think about it, you are negotiating your way through your day every day. You negotiate with your kids, your spouse, your friends (say they want to see one movie and you want to see another), salespeople and people you work with. Are you afraid to have those conversations? Heck, no. So why are you afraid to have conversations about costs and financial arrangements? In closing, these 10 tips will help you be a bigger, badder, better real estate entrepreneur and investor. There is no better time to start than RIGHT NOW. Since you’re going to have to grow your base of investors, buyers and sellers, why not put yourself in the spaces where you can find these people? CFD 168 – John Klymshyn Tells Us Why MOVING Conversations Forward Helps Us Close More Deals!